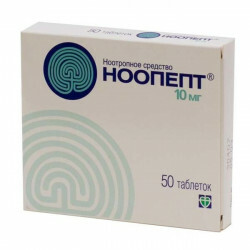 1 pill contains noopept 10 mg; 30 and 50 pieces per pack. Noopept has a nootropic and neuroprotective effect. Improves learning ability, memory, acting on all phases of processing: initial information processing, consolidation, extraction. 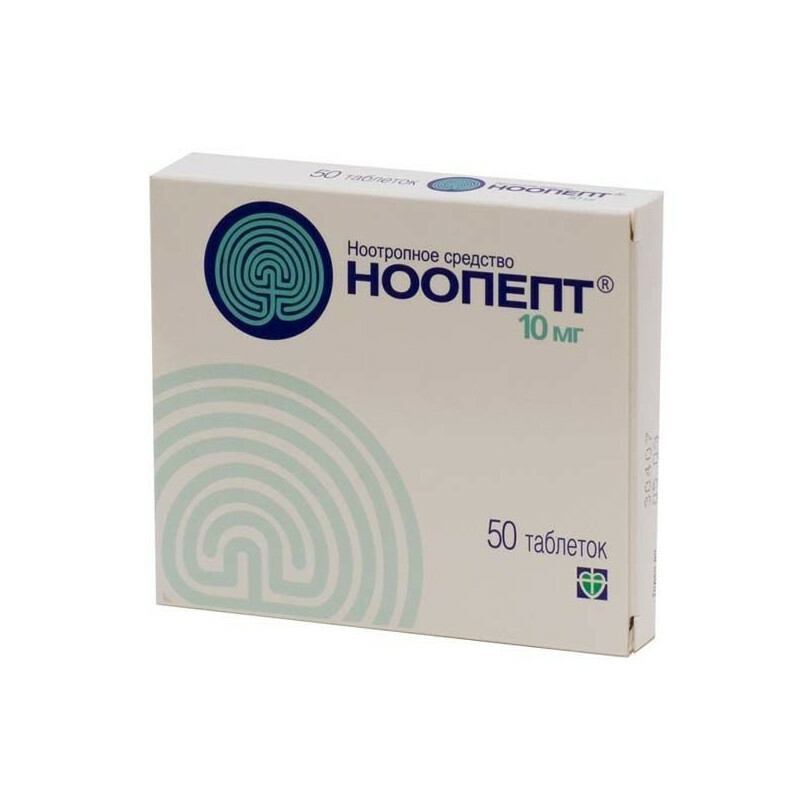 Noopept prevents the development of amnesia caused by electric shock, blockade of cholinergic structures, glutamatergic receptor systems, deprivation of the paradoxical sleep phase. Impaired memory, attention, other cognitive functions and emotional labile disorders with signs of reduced intellectual productivity (including in elderly patients), including with: consequences of craniocerebral injuries, post-communal syndrome, cerebral vascular insufficiency (encephalopathies of various origins), asthenic disorders. idiosyncrasy of Noopept, marked impairment of liver and kidney function, pregnancy, lactation, age up to 18 years. Allergic reactions are possible, in patients with hypertension (especially severe), an increase in blood pressure may be observed. Noopept is taken orally, after a meal. In cases of impaired memory, attention, other cognitive functions and emotional and labile disorders (including in elderly patients): at the beginning of treatment, the drug is prescribed in a dose of 20 mg distributed 10 mg per dose. (morning and afternoon). With insufficient efficacy of therapy and with good tolerability of the drug, the dose is increased to 30 mg and distributed in 10 mg in 3 divided doses throughout the day (the last dose is no later than 18 hours). The course of treatment is 1.5-3 months. If necessary, a second course after 1 month. If you need to increase the dose of Noopept (up to 30 mg / day), with prolonged use, as well as with simultaneous use with other drugs, the appearance of adverse reactions or worsening of the condition, you should consult a doctor. In the dark place at a temperature of no higher than 20 ° C. Shelf life - 2 years.